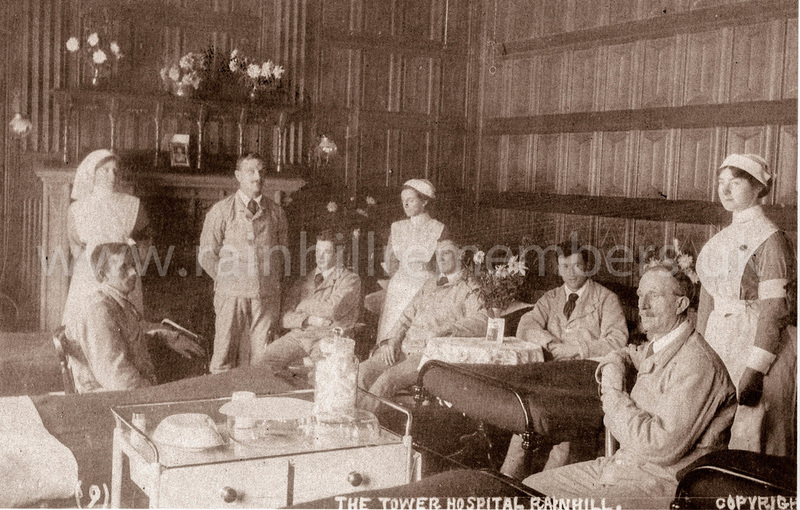 Research is ongoing to identify medical and non-medical staff who worked at Tower Hospital. Below are the results of our labours so far. 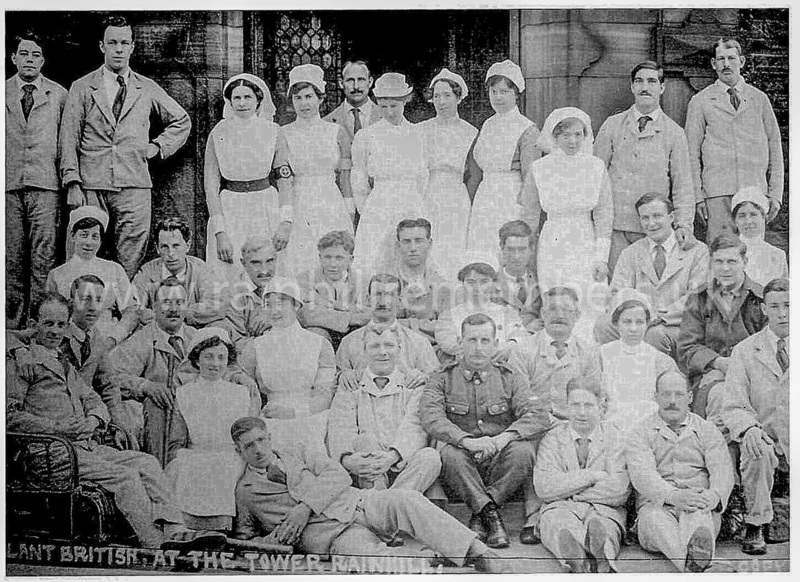 Please get in touch via our Contact Page if you have any information to add or recognise any of the individuals in the photographs. 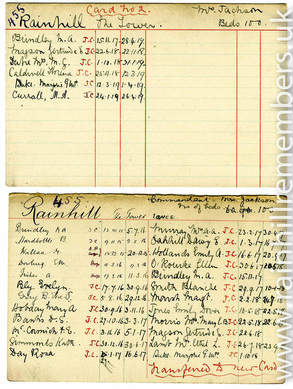 Mrs Doris Jackson was appointed Commandant at a meeting in Jan 1914. Her husband was Col. R. Jackson (mentioned above). 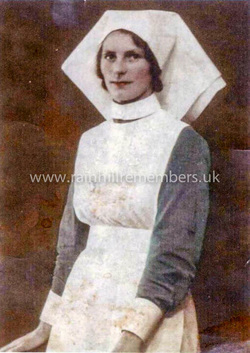 Mrs Robert Rawlins appointed 1914. 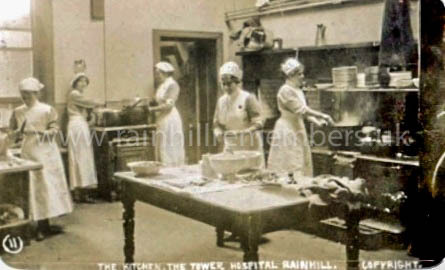 Miss Tuff (later Mrs Price) became Quartermaster after Mrs Rawlins. 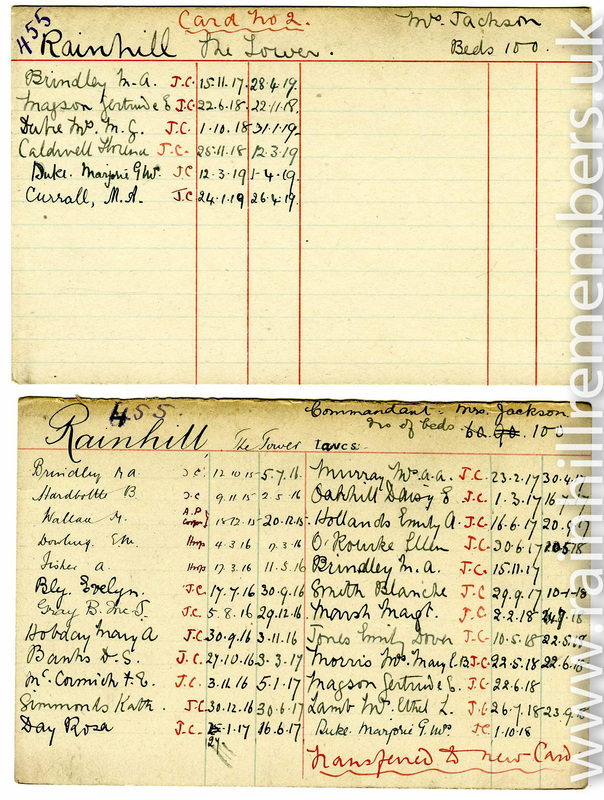 Individual records for all Red Cross volunteers in the First World War are currently being digitised and made available on the Red Cross website. To see a 'then and now' version of the above picture, go to the Rainhill Civic Society website. With over 100 beds no doubt the kitchen staff were kept very busy. 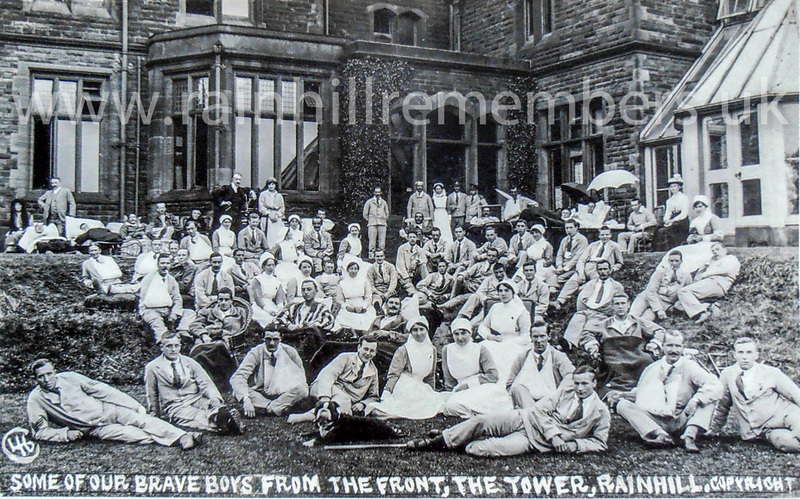 The photographs below show both staff and patients outside Tower Hospital with some of the soldiers in beds and bathchairs. 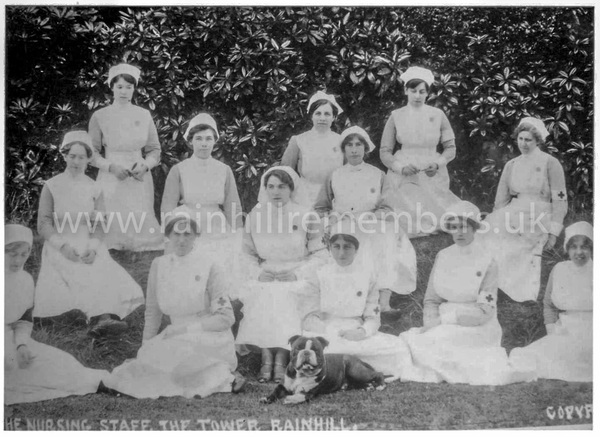 The bulldog taking centre stage was clearly much loved and can be seen on numerous photographs.